1874 Black Hills "Custer" Expedition image by W.H. Illingworth. (Much more information in the book "Exploring With Custer" at http://www.custertrail.com). 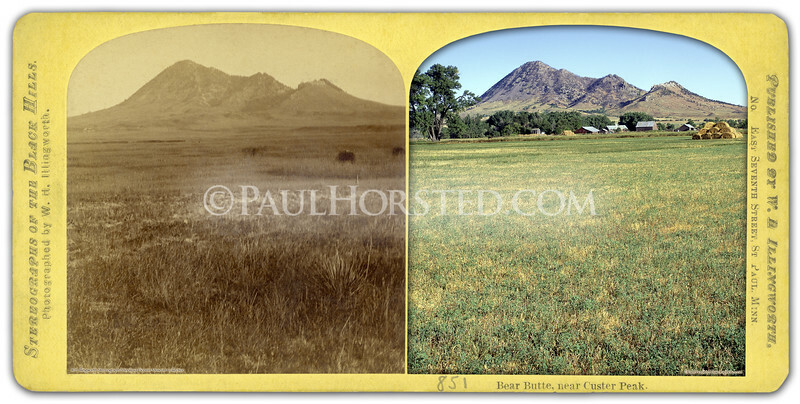 Modern image shows same area today, with trees growing along Bear Butte Creek (barely visible in 1874 image). Historic image courtesy Minnilusa Pioneer Museum, at The Journey, in Rapid City, S.D. ©Paul Horsted, All Rights Reserved.